Track days are better with friends. It is tough to beat hanging out with friends and getting personal bests at the track. Hotlap lets you keep that camaraderie alive even when you are wrenching at home. Follow your friends on and off the track. You can support your friends even when you are unable to join them at the track. With Hotlap, you can receive notifications when new sessions begin, help analyze lap data, and leave comments on performances. Capture and analyze your performance. 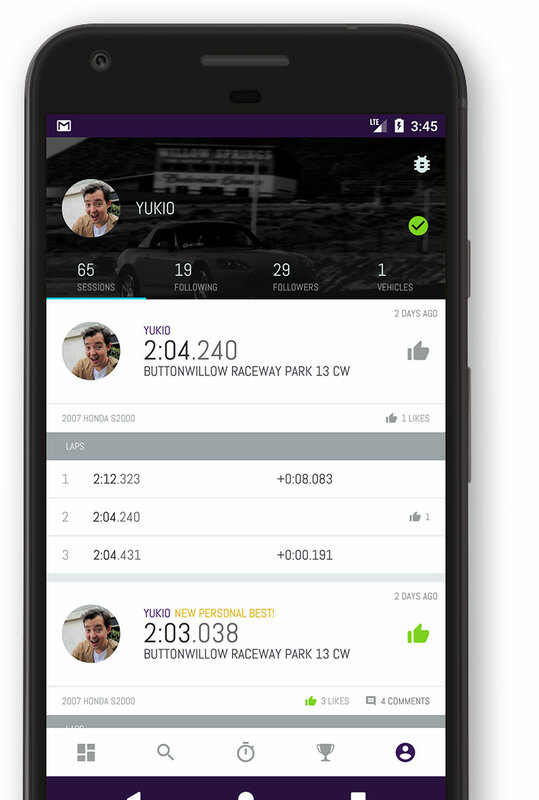 The built-in GPS lap timer, data logger, and lap analysis tools allow you to easily compare your laps with friends to see where to gain those precious seconds. We are excited to have you join our new community dedicated to track day enthusiasts. Now available in the US & Canada for iPhone and Android devices. For those who enjoy living on the edge and would like to test the latest features and bug fixes please join our beta program. "The super intuitive lap data viewing meant I was learning where I could be faster even before I'd taken my helmet off. Adding the social element to such a useful tool not only made our circle of friends progress faster; but has turned into the de facto referee of our friendly rivalries." 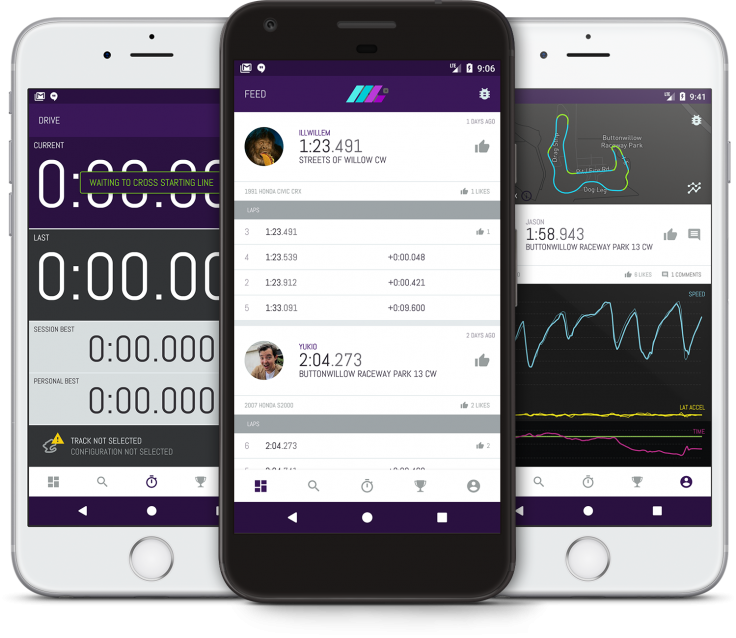 "Nothing has helped me go faster than being able to share and compare on-track data with my friends. It's made us all faster." "I've found no better coach than my peers data. Being able to quickly see where other drivers are making time on me, then immediately close the loop and try new tactics in the next session is truly a game changer as a driver. Real-time data has also brought friendly rivalries closer together with results being broadcast out in real-time, even those not there that day. 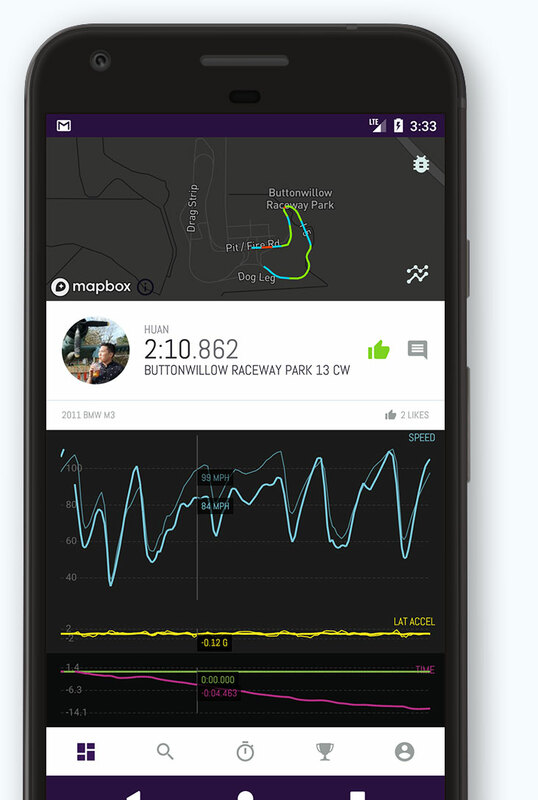 It gives all of us more reasons to get our gear and get up to the track." Are you having issues with the app? Do you have an awesome feature idea? Visit our subreddit and let us know. We would love your feedback. Please be safe out there, use appropriate safety equipment and drive within your limits. Have fun!